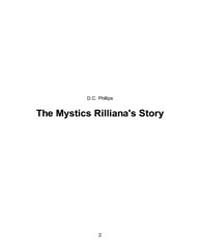 Description: Meet Rilliana And Lilliana Twin Sisters Whoms Life Has Just Changed. for They Were Not Normal Average Teenagers After All. But Part of a Secert World They Never Knew Insisted. Where Love Runs As Wild As The Fastiest Horse And Everything You Have Been Made to Beleive About Werewolfs, Vampires, Wizards, And The Supernatural is Actually True. And Once More The World Just Got a Whole Lot More Interesting As You Learn of The Magic Which Keeps Them Together.